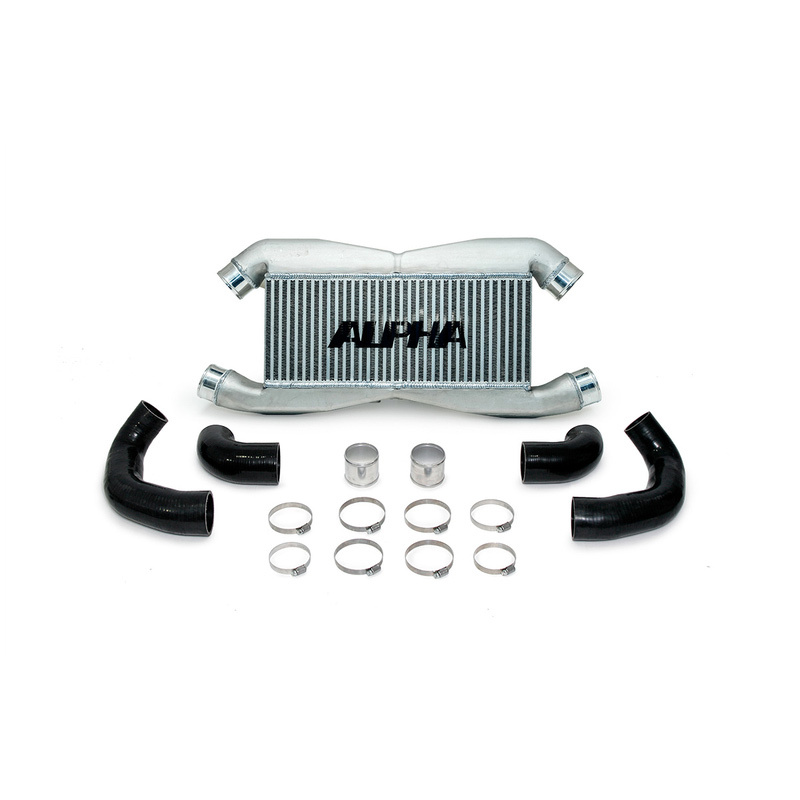 The Alpha R35 GT-R Front Mount Intercooler (FMIC) is one of the best performing and best looking intercooler upgrades you can buy for the Nissan GT-R and it has numerous 9 second time slips to back it up. 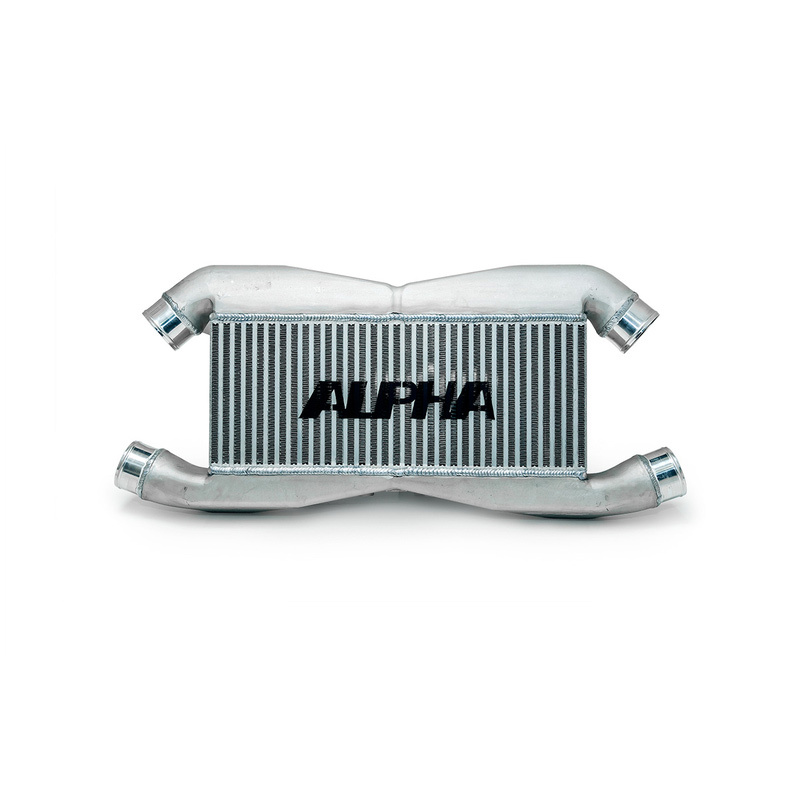 This is the same durable, race-proven front mount intercooler used on the Alpha 9 GT-R package and is most effective for GT-Rs producing up to 1000HP. 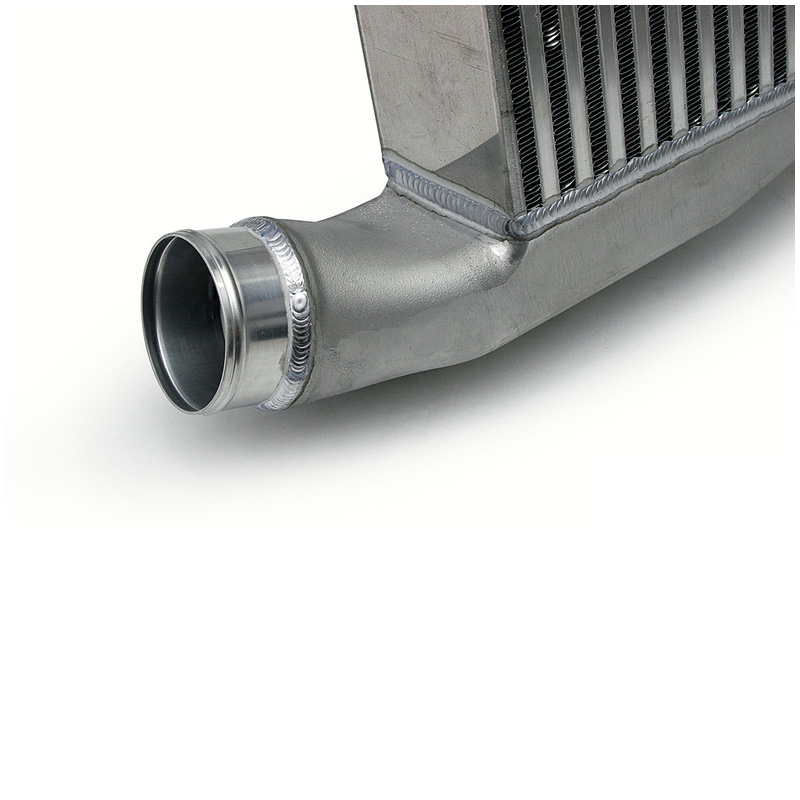 This direct bolt-on intercooler has over 75% more internal flow area than its stock counterpart, works with stock piping and does not require any cutting or trimming! This intercooler bolts on so nice and clean you would swear it was an OEM Nissan piece!! 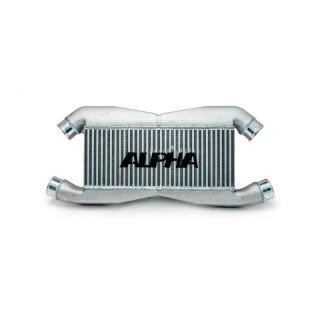 The Alpha GT-R Intercooler features cast aluminum end tanks for added durability with extremely smooth features and geometry. Designed using Solidworks 3D CAD software, these A356 T6 aluminum end tanks have improved flow over sheet metal end tanks and include integrated OEM location mounting points for ease of installation. 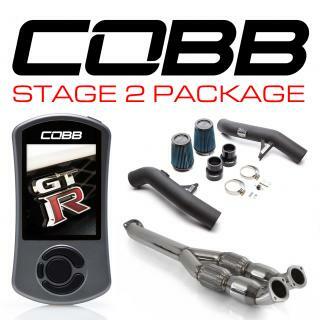 Custom, precisely molded, silicone couplers provide perfect fitment and are included to optimize airflow volume and velocity as they feed through the larger 3? inlet and outlet ports. 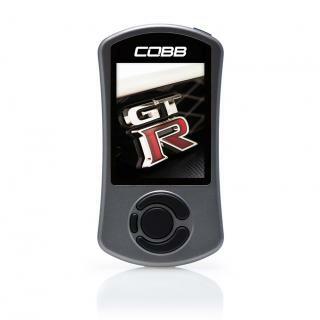 Compatible with COBB Stage 3 Off The Shelf maps. 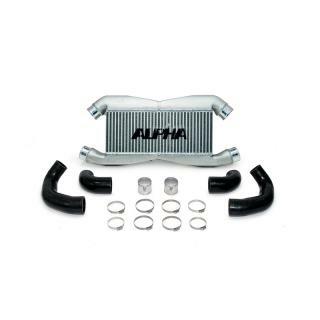 Alpha Performance R35 GT-R Front Mount Intercooler is rated 5.0 out of 5 by 1.